“The Sound of Letting Go”. I wanted to read the book only because of the title. I did not even go and check the synopsis or the plot. I knew I had to read this book and this is what happens sometimes. You need to read the book. “The Sound of Letting Go” by Stasia Ward Kehoe is about Daisy, a sixteen year old and her younger brother who is autistic and her parents. So basically, it is about her parents sending her brother to an institution and how Daisy decides to no longer be a good girl. It is almost her form of revenge and getting back at her folks. And then of course enters a young man, Cal, who makes her see things differently. The character of Daisy is well-etched and yet there are times you cannot help despising her, and very soon you grow to love her as well. That is the way the writer sees it, so be it. What I loved about the book is the way it is written. It is prose poetry and the writing is exquisite. I know it is an author most of us have not heard of, but now you have and according to me you should read this, if you are interested in young adult fiction. Kehoe’s writing is not complicated at all. It is simple and impacts when it should. I breezed through the book. It is painfully honest and talks of family dynamics and relationships unlike any other young adult novel I have read in a long time. There is the right balance of plot, characters and what will happen next. To some extent, I also thought that Kehoe had way too much insight in her characters, but that is the only way to write a book. 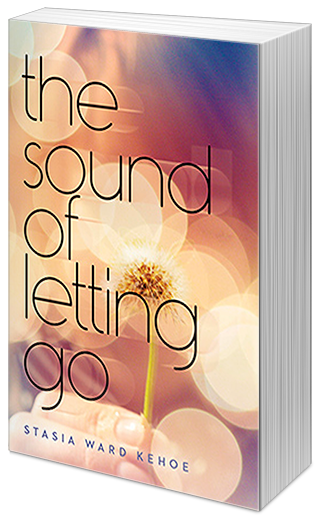 “The Sound of Letting Go” is a book which is sweet, bitter, sad, happy and sometimes just heart-breaking. This entry was posted in Books, Literary Fiction, Penguin Books, Review, Viking Juvenile, Young Adults and tagged literary fiction, penguin books, Poetry, Prose, Stasia Ward Kehoe, The Sound of Letting Go, Viking Juvenile, young adult on January 26, 2014 by thehungryreader.